At the beginning of January Spark started to work with an HIV association in northern Rwanda. Similarly to the other HIV associations I’ve met with, this one is made up of an older generation, people who have already had kids. We were discussing the problem of youth activism and care for preventing and treating HIV when the group volunteered to form HIV youth clubs. At the end of January we showed up to the fifth meeting with the association, only to be greeted by a group of around 22 youth. 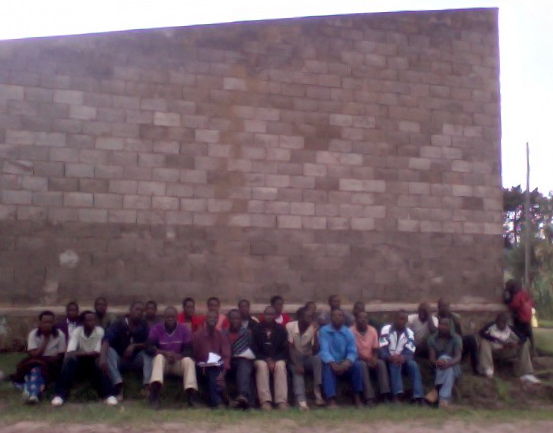 Members of the youth group are not currently in school but showed their eagerness to be involved in a project as well as to start writing and educating. In the next meeting they showed up again with enthusiasm and ideas for activities to educate and test youth, raise awareness and decrease stigma. They proposed ideas including educational dramas, songs and dancing events. Last Saturday they told us they have started writing poetry about HIV as well as their drama. Both the youth group and the HIV association are eager to get their projects going and both have expressed immense frustration with stigmatization in the region. They said that their love for family members and friends who are positive are driving them to work to stop it. Our facilitator, Belicia, has grown immensely through the process, speaking louder and feeling more comfortable with leading discussions and planning with the groups. In the coming weeks both the association and the youth group will be finalizing their project plans. The association will have a two-step project. They are proposing to carry out a sensitization campaign in partnership with the clinic in eight communities across three sectors. They will educate, provide free testing and support, hand out condoms and provide personal stories to each of the eight villages. After the campaign finishes they will receive funding for and implement an income generating project for the association. They have mentioned farming mushrooms or potatoes.